Last month I had the opportunity to attend AGILE2016 conference in Atlanta Georgia. The conference was fantastic — great speakers, networking and more. You can read our full AGILE2016 recap here. 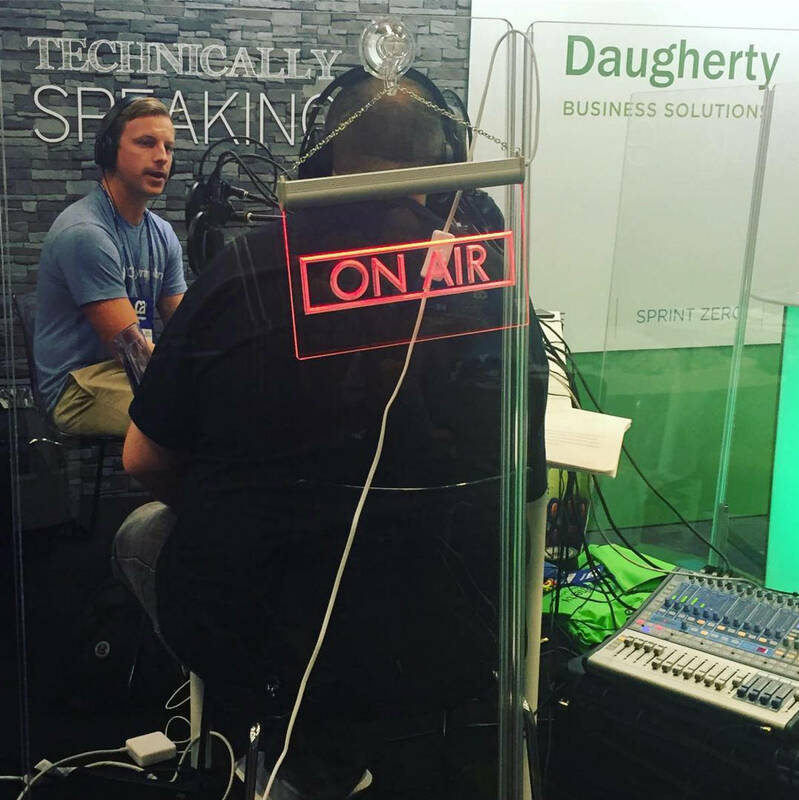 While at AGILE2016 I was able to sit down and speak with the good folks at Daugherty Business Solutions for an interview on their Podcast Technically Speaking. Daugherty brings a fresh approach to consulting and are the creators of “Technically Speaking”, a podcast about tech and how it’s shaping our lives both personally and in business. Watch or read the interview below and check out other “Technically Speaking” Podcast over at itunes. Live from St. Louis Missouri, it’s the Technically Speaking podcast, with your hosts Caryn Tomer and John Hartmann. Brought to you by Daugherty Business Solutions. Get ready, because it’s time to talk nerdy on the Technically Speaking podcast. John: Welcome back to the Technically Speaking podcast day four! I don’t know how we still have voices, but we do. And we’re sitting here speaking with another thought leader here at the conference. We’ve spoken to, probably, 20, 30 plus people who’ve all had great perspectives. I think we’ve learned so much. We’re two marketing people, we’re dropped here in the middle of an Agile conference. What are we doing here? We’re learning, right? Caryn: Yes. So no pressure. Everyone’s been great. Kyle: Pressure’s on. Thank you all for having me. John: So, QASymphony. What’s behind the name? Where does Symphony come in? How does that fit in with testing? Kyle: QASymphony. What we do is we help companies make better software. So, our motto is “Create better software.” So, the name itself, it’s a good question. QA is of course the testing aspect of the SDLC process and then Symphony, is like collaboration in an orchestra — everyone working together. John: I was thinking maybe you guys all play classical instruments, you know. Maybe Kyle, you play the oboe and somebody else plays the violin. Kyle: Just on the side. There’s an idea, though. Caryn: So, what does that mean? How do you create better software? Kyle: We have a range of different products within our company. We’re a software company. And they’re geared for helping teams or organizations that are moving more towards Agile. So, we hear a lot about developers getting these new tools to help them create software quicker, and we’re looking to kind of wrap that up from the testing perspective. So, using, you know, these new solutions that are going to help testers and teams as a whole kind of unite and produce quality software at a quicker pace. John: So, I guess the hard-hitting question is, why do we need testing and Agile, right? We’re building iteratively. Caryn: Yeah, everybody’s testing all the time. Caryn: Yeah, is it really testing anymore? John: Yes. Do we need testers? Kyle: Absolutely. I would say that we definitely do. So that is something we hear quite a bit, “Well, our developers now test.” But testing is, of course, a group effort. So there are going to be QA individuals that will still need to run through and do their testing. However, the type of testing they’re doing is changing. So it’s no longer manual testing, which we can dive into a little bit more. It’s going to be different trends and techniques are kind of being developed to speed up how quickly testing can be done. It’s not going to be the bottle neck for teams and organizations. Caryn: Is that kind of the, what people say like, “Ugh, testing!” Is that kind of where it comes in? Caryn: Because it’s a bottleneck, right? It’s like, “Ugh!” So what is your company doing that’s allowing to speed that process up? Kyle: Yeah. So, we have very tight integrations with different application life cycle tools, management tools like JIRA, Rally, VersionOne, unite the developers that typically leverage those tools with the QA individuals that utilize ours. So, on top of that, we do also support other types of testing like exploratory-based testing, which is gaining a lot of traction in terms of Agile adoption. So, that’s actually running through tests that aren’t detailed or predefined for you. So you just use your own product knowledge, and run through those given sessions, and test your new features, functionalities, and the end base test with that tool. Caryn: Cool. So can testing teams be Agile? Kyle: Absolutely. I think they definitely have to. And I think they need to be equipped with the tools to do that. So, I view the SDLC process as a whole, everything from requirements, gathering, to developing, to testing, to deployment, all of that is an Agile process. So you can’t really have a weak link there, that is. So, yes, I would definitely say the testing team should be Agile themselves. John: So you guys are a start-up, right? Kyle: We are, yeah. We were founded in 2011. We’re based here out of Atlanta, Georgia actually, so no overnight hotel stays for me this week. We’ve just been able to come down the road, which has been nice. John: lucky you. So, when did you join the company? Kyle: I joined about a year and a half ago, or so. John: Okay. So, have you guys grown a lot since the first days, I guess? Kyle: Definitely. Actually, when I joined we were in this smaller office and we outgrew that quite quickly. It got to the point where you’d get up to use the restroom, come back, and your chair’s gone. Someone took it. Yeah, we outgrew that space, we’ve had exceptional growth from a revenue standpoint, from an employing standpoint. We’ve recently actually opened up an office over in the UK, so expanding overseas as well and really having our eyes set on the European market in addition to the Americas. So, it’s been great. It’s been quite the ride in just a short amount of time here. Caryn: So, typical start-up life, right? You know people…It’s kind of glamorized by the media right now. You know, you talk about…We have a start-up in St. Louis called LockerDome and they have, what they call Locker Dorms where people stay up all night, they stay the night there in the office. What’s your culture like? Is it kind of that traditional start-up, or have you guys moved beyond that? How many hours are you working? Maybe that’s the question. Kyle: Quite a bit. I would say I’m probably putting in around 60 a week, or so. But I love it. I actually came from a larger company prior to joining QASymphony. But the culture is, I mean, it’s amazing. We’ve got a great group of individuals and leaders on our team. Everyone’s very approachable. I like to think of a culture of having accountability. You do a good job, you’re recognized, it’s fun, people like to work hard. And I think that’s been a big factor in our success, is how we go about it. So, it’s been tremendous. But yeah, definitely catered lunches, maybe some afternoon beers on Fridays with the team. So I love it. It’s been terrific. Caryn: Sounds like a cool place. Well, we did some quick searching. So we just met you probably, what, a half hour ago? Kyle: Yeah, about a half hour ago. Caryn: Yeah, so we quickly did some Googling, and there’s actually an MMA fighter with the same name. So, any relation up in Canada? Kyle: I wish. No, unfortunately not. I need to get that guy in my corner though. Caryn: Yeah, it says he’s an amateur. I think he’s like 1-0-0 or something like that. Kyle: There you go. He’s just starting. Caryn: So, maybe. I don’t know. Kyle: So no relation. All right, well that’s good that that’s the most dirt you could dig up there. I guess I’m safe. John: Well, you threw us a little bit of a curveball, we’ll have to say, because I think yesterday we were talking about having Kevin on, so I dug some dirt on him, then we switched it up real quick. So, I didn’t get a chance to get in. Caryn: Well, Kevin Dunn shares a name with a WWE wrestler. So, we’re wondering what’s going on with you guys. Kyle: Yeah, I guess the whole company. John: Maybe it shouldn’t be symphony. Kyle: Right. QA Fighters, or something. John: QA Fist Punch, or something. Probably not as nice of a company name. Caryn: Yeah, I don’t know if you’d attract many customers with that. Or maybe. I don’t know. Kyle: It’d throw them off a bit. Caryn: Yeah, maybe. Oh man. John: So in your line. So, you guys are kind of a start-up. You’re a newer company. So how do you guys differentiate yourself against some of these other bigger companies when you’re going after new business? Kyle: Yeah, that’s a good question. So, we’ve actually had a lot of success with our product in the different avenues in which we’ve been able to kind of tackle. So, we’ve brought on a lot of big-name clients in the past year or so. Barclay’s is a big addition, Nordstrom’s, some local Atlanta companies as well, Amazon recently. So I think a lot of those names have actually helped solidify kind of our presence in the market. Coupled with that and our way of going about treating customers in terms of support. We do our own user conference as well. We actually just had our first one here in Atlanta this past, I believe it was April or so. So I think it’s more about just establishing that credibility among some of the bigger players and kind of making some noise. And I think we’ve been doing a great job at that so far. Caryn: Well, I did notice you have a Darty alum working for you. So that’s kind of cool. We like having friends of Darty, I guess, on. So, it’s kind of a neat little connection. John: When did he join the company? Are we going to chart this with the rise of the company? Caryn: We should definitely do that! John: Are we going to take credit for this? John: I think that’s what I’m hearing. Caryn: Yeah, I think he joined last summer. Kyle: We just got that Darty alum. The rest is history. John: It’s just all about us. Isn’t it funny how it works out like that? 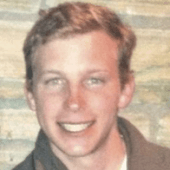 Caryn: Well, Kyle, thanks so much for coming on the podcast and sharing just a little bit more about your company. Anything that we missed, anything that you want to share that we didn’t give you the opportunity to share about, anything we should have asked you? John: How’s your conference experience been so far? Have you been able to break out of the booth? I know we’ve been here, just two talking heads the entire time. Have you seen anybody, any sessions or anything that has struck you at the conference so far? Kyle: Yeah, I think just the different backgrounds that everyone comes from. It’s interesting. I’ve been spending most of my time in the booth talking with individuals. But just being able to see how different teams and organizations are operating, which different tool stacks they’re using, different technologies, have been great. And I’ve had a lot of great lunches with individuals who’ve spoken very highly of the speakers here. So, overall, I think it’s been a tremendous success and it’s definitely been a great conference to attend. John: Well, we wish you the best going forward. We don’t wish you take more of our Darty people. Caryn: You only get one. John: You only get one. First one’s free. Next? No. Caryn: Well, thank you so much for joining us. If anybody wants more information about QASymphony, how do they find you guys? Kyle: You can head to our webpage, www.qasymphony.com. You can, of course, reach out to us there. We’ve got free trials for our platform offering. So, we’d love to speak with you, and if you’re looking to Agilify, if you will, your testing efforts, we’ll be the ones you can come seek out. So, I appreciate you guys having me on here today. It was great. John: Thank you Kyle. Have a good rest of your conference. Kyle: You do the same. Thank you for listening to the Technically Speaking podcast. Get involved with the show by following us on Twitter @speaktech, or “like” our page at facebook.com/speaktechpodcast. If you have suggestions or questions related to the show, or would like to be considered as a future guest, send feedback and inquiries to hey@speaktechpodcast.com. For Caryn Tomer and John Hartmann, I’m Zach Lands, and thank you for listening to the Technically Speaking podcast.